With the highest altitude in Sydney’s Eastern Suburbs, the suburb of Waverley has a lot to offer. If you’re fortunate enough to own a home in this area, you’d know just how great a part of the world it is to live. Like most Sydney areas, the local council has a range of fantastic services that they offer, to make the lives of Waverley residents easier. You’ve probably paid enough tax in your time to expect great service, and this is certainly a suburb where the council takes a lot of care. There’s a good chance you live a very busy life and appreciate services such as the curbside bin collection the council does each week. You’re probably reading this because you’ve had trouble fitting everything in your bin recently and you need something extra. Whether you couldn’t fit items in because they were bigger than the bin themselves, such as an old couch, or you just had too much stuff, like scraps from a small renovation, Same-Day Rubbish Removal offers the service you require. Call us now on 0402 737 046, we’ll help you get your home cleaned up! Depending on what junk you’re trying to get rid of, you may have already spent some time and effort relocating it. If it’s an old lounge or bed, people often don’t remove these until they’ve got a new one to replace it, so if you’re ready to get rid of it, you’ve probably moved it out of the room already. These large items can be heavy and difficult to move due to their size and shape, we’d much prefer to come in and do all the shifting for you than have you hurt yourself trying to do it yourself. Our team are lifting and shifting large heavy items every day and are very experienced in removing these items from homes without causing damage to the home or themselves. In the last 10 years while we’ve been doing junk removals, there hasn’t been a job that has been too hard for us yet. 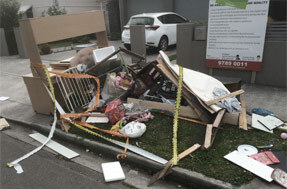 Our team pride ourselves on being the most responsible rubbish removal business around, making sure that whenever possible, we have your junk recycled so it doesn’t just end up in landfill. We know all the spots in Sydney where items can be dropped off to be recycled. Our team also knows all the shortcuts around Sydney so that they can get to your location fast. This also means better value for you, as our team doesn’t like to waste time, they do the most efficient junk removals possible. 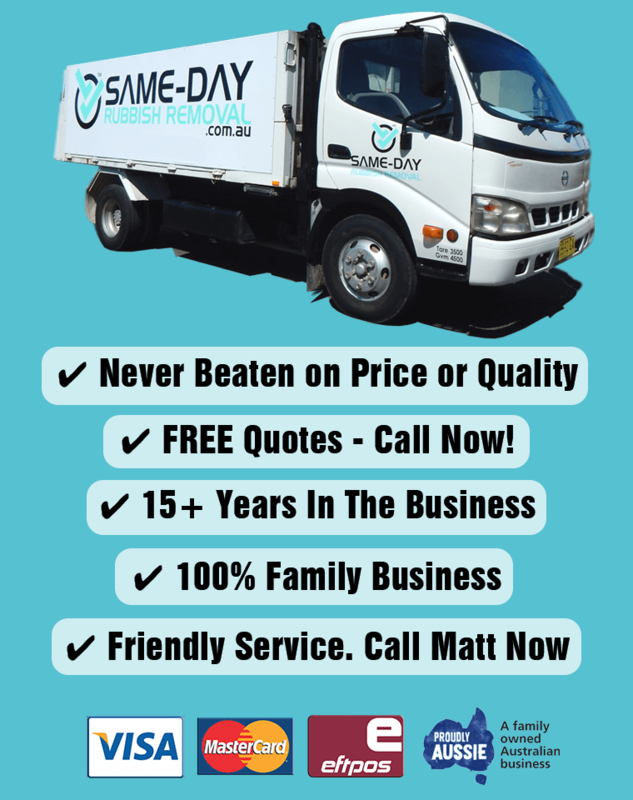 Whether you’re in Waverley or in any other part of Sydney, Same-Day Rubbish Removal offers their amazing service to you. From the Eastern Suburbs, to inner suburbs like Kensington and Balmain, all the way out to Campbelltown or Penrith, our team can be there today. There are many reasons why you need our professional waste removal service, saving you time, money and that it will make your life easier are just a few. 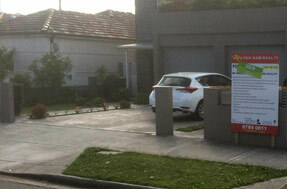 Get a free quote by calling us now on 0402 737 046. We look forward to hearing from you!